The issue of pollinator health continues to be a hot topic in the media and the public. NPMA and PPMA have devoted vast resources to addressing this issue on a variety of fronts, particularly in the areas of public policy and public opinion. This year, as an extension of our commitment, we urge all NPMA members to take part in "Plant Your Own Pollinator Garden" NPMA National Community Day of Service on August 22, 2015 (National Honey Bee Day). Consider taking part in this initiative by planting a pollinator garden in your community. To assist member companies in navigating the steps involved in this process, NPMA’s consumer education arm, the Professional Pest Management Alliance (PPMA) has created a toolkit containing pollinator-friendly plant and flower suggestions, media relations outreach materials, social media posts and a logo for use on t-shirts. Each interested company will need to secure the necessary permits for the gardens in their respective cities. While the community garden application process varies from city to city, members should begin by contacting their city halls or visiting their city's website and inquire about additional information. There will be webinar in the coming weeks to answer any questions about the process. By providing foraging sites and bringing awareness to the need for collaboration among various parties on the issue of pollinator health, our industry can play a leadership role in protecting pollinators while ensuring the safety of the American public. Have you registered for PestWorld yet? In less than thirty days, registration fees increase $50! The Gaylord is already sold out for Thursday night, luckily, we have secured rooms at the Hyatt Place, which offers a complimentary shuttle service to the Gaylord. This year’s event features top-notch educational sessions, networking, and the largest exhibit hall in the pest management industry, featuring over 100,000 square feet of the latest products and services available to pest management professionals. Register today and ensure you take full advantage of the early bird discount rates. Registration prices increase after September 4. Already registered for PestWorld? Extend your PestWorld experience and join us for our post-convention trip to Costa Rica! Click here for more details on the post convention trip. 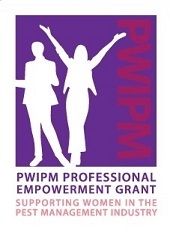 PWIPM Professional Empowerment Grant: Submission Date Extended to Aug. 15! PWIPM is currently accepting nominations for its annual Professional Empowerment Grant, which will be awarded to one female who is interested in advancing or securing a career in pest management. A minimum of $1,000 will be granted to the recipient to defer costs related to advancing her career or education in the pest management industry. Additionally, up to $500 towards travel expenses to attend the National Pest Management Association's PestWorld in Nashville, Tennessee, Oct. 20-23, will be provided. Click here for more details and requirements. All nominations must be submitted by Aug. 15. Red flour beetles (Tribolium castaneum) and confused flour beetles (Tribolium confusum) are significant stored product pests and are often found in flour mills and food processing facilities where they scavenge on damaged and processed grains. Dr. James Campbell, of the USDA Center for Grain and Animal Health Research in Manhattan, KS, led a research team that investigated how successful structural control strategies levied against these two flour beetles have been in 111 treatments made in 39 wheat and rice mill facilities. Beetle numbers were gathered pre- and post-treatment via pheromone and kairomone traps. The use of heat, sulfuryl fluoride, and methyl bromide were compared and found to provide similar results against confused and red flour beetles across all treated facilities, but efficacy varied significantly for individual treatments. To read NPMA’s extension request in its entirety click here. NPMA was one of several associations to request a 60-day extension as part of the Partnership to Protect Workplace Opportunity (PPWO). The Partnership is comprised of a wide range of associations and companies that represent a diverse group of industries and interests. PPWO met on Tuesday of this past week and discussed strategy moving forward, expect additional talking points and requests for information and grassroots assistance in the coming weeks and months. The government has temporarily lifted a ban on neonicotinoid pesticides in certain parts of the country. An EU-wide moratorium was put in place after some studies showed the pesticide caused significant harm to bees. You've heard the news about honeybees. "Beepocalypse," they've called it. Beemageddon. America's honeybees are dying, putting honey production and $15 billion worth of pollinated food crops in jeopardy. Bed bugs (Cimex lectularius) are renowned for their association with hotels and travelers. 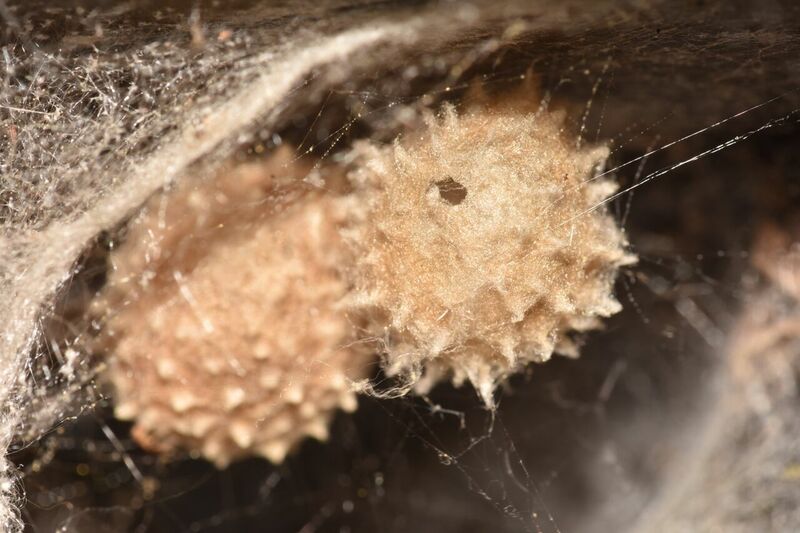 In order to investigate how bed bugs fit into the hospitality industry, Dr. Mike Potter, Dr. Wuyang Hu, and doctoral candidate Jerrod Penn, all of the University of Kentucky, conducted an extensive survey. Shay Runion, Chief Human Resources Officer and Senior Vice President of Professional Development with Arrow Exterminators was recently appointed to be the Georgia Pest Control Association’s (GPCA) President for the 2015/2016 year. With the increasing cases of Bed Bug outbreaks in Fort Lauderdale Florida, Reynolds Pest Management, Inc has expanded Bed Bug Treatment Services to South Florida. Environmental Pest Service (EPS) is ranked No. 6 on the Tampa Bay Business Journal’s “Fast 50” list, a ranking of the fastest growing privately held companies in west–central Florida. Rose Pest Solutions has expanded its presence in the Cincinnati, Ohio area with the acquisition of Redwine Pest Control. Recently, the Virginia Pest Management Association (VPMA) released the agenda and registration brochure for their 10th Annual State Technical Meeting being held Sept. 23 and 24 in Richmond, Virginia. For the fifth consecutive year, HomeTeam Pest Defense was awarded the highly respected David Weekley Homes “Partners of Choice” award. NPMA member William H. “Bill” Freeman passed away on July 29. A memorial service will be held Wednesday, August 5 in Maryland. •Knob Hill Termite Co., Inc.
•Tremex Termite & Pest Control, Inc.
•Eco Tech Pest Control, Inc.